Let’s face it moving is a tremendous project. Not only do you have to disrupt your daily lives for days on end while you sort, pack, move, unpack and sort again but it becomes an even more tedious endeavor when there are furry friends in tow. 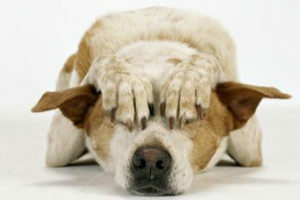 Animals are sensitive creatures and can feel your anxiety levels rise while you turn your home upside-down. Moving is a stressful time for everyone in your family but you can do a few things to prepare for the move ahead. Packing is a long process but don’t forget to spend quality time with your cuddly family member. This will help them relieve their own stress surrounding the move. Make sure to have an ID tag on your pets. This should have current name, address and phone number. Animals can get lost at rest areas. Better yet get them microchipped. Photograph your pet for the same reason as above. Now not all of our pets are cats and dogs. If you have an exotic pet make sure to check that your pet is legal in the state that you are moving to. Be prepared: locate all rest areas and pet friendly hotels in your route to your new home. Carry documentation from your vet that your animal is healthy and up to date on all its vaccinations. Traveling in the car: if your animal has anxiety about the car and you are moving a long way away you might want to talk to your vet about giving sleep aides for the ride. Crate or no crate: It does make sense to have your animal in a crate so that they can’t push through you and escape out of your vehicle door. Small, dark spaces generally make animals feel more secure. Traveling long distances with animals is a lot like preparing for surgery. Don’t give them too much food and water. That way you won’t have to stop as often for potty breaks and reduce the chances of motion sickness. 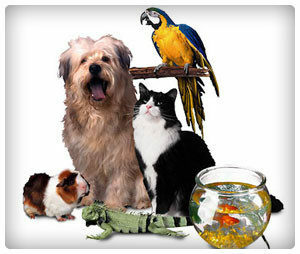 If possible have your animals stay with a familiar friend while your belongings are being loaded onto the moving truck. This will reduce their stress level and prevent escapees from happening. 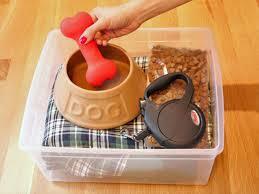 Pack a bag with food, water, leashes, toys etc to make your animal as comfortable as possible. Remember to take a deep breath and enjoy your new home!